These are unpaid roles for credit only, in a free podcast production. If you have more than one audition (which is totally awesome and welcome) please zip them ALL in ONE folder. 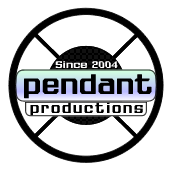 Send your mp3s to seminarpendant@gmail.com! Drama. A woman struggling with anxiety makes decisions to improve her life while her anxiety comments on her actions and attempts to influence her progress. Fantasy/Drama. Members of an ancient cabal of immortals must gather every 50 years to renew a ritual. But one of them is having second thoughts this time. You are literally Taylor’s anxiety. Just a voice in a head. LINE 1: Like, remember that time you were 5 minutes late because of traffic and your boss was like "Oh good, Taylor is here" but like, with a little bit of an attitude? LINE 2: They're just pretending to be nice. Ooh or maybe it's a trap! You know like in those 80s movies, where the football captain asks out the nerdy girl to prom, and she gets aaaaall dressed up, waits outside, and then he drives by with his football buddies and throws eggs at her?! Maybe that'll happen. Rich, carefree, feels superior to the human race. LINE 1: There you are, Fournier. A sheep farmer? Really? I thought you’d outgrown these...peasant habits. LINE 2: Oh, I’m sure we’ll manage. [chuckles] Remember the time Haggard died climbing Mount Kilimanjaro and was reborn 200 miles away in some backwards village? We had to hire mercenaries to comb that village and find the baby with the correct scar on his arm. LINE 1: You are avoiding my point. The mistakes of humanity are our mistakes as well. [sigh] I thought, when we began this journey, that we would mature, evolve. Become as gods with the knowledge and experience we collect. LINE 2: We do not learn, Durand. For all our knowledge and technology, humanity is trapped in its own cycle. We grow, we flower, we wither. And between...chaos. A young woman dealing with anxiety. LINE 1: Well, actually...this is kind of unrelated but, do you know someone I could talk to about some...mental health stuff? LINE 2: (annoyed) Heyyy Kyle! Yeah, I....wanted to socialize! So here I am. Socializing. LINE 3: (very much drunk) Are we there yet?? I just want to dance! And I'm hungryyyyy--HEY is that a McDonald's bag? A kindly nurse, attentive to her patients. LINE 1: Well considering you were hit by a pretty sizeable truck, I'll take okay. Is there anything I can do to make you more comfortable? LINE 2: Anxiety is tough. And you know what? So is asking for help. Seriously, you should be proud of yourself, I know that can't have been easy. Coworker and friend of Taylor. Tries to get her out of her shell. LINE 1: Hey everyone is gonna go to Blue's Pub around the corner at 5:30, wanna come? LINE 2: Oh before I forget, did you hear Shannon is leaving? They're going to be looking to promote someone soon. You should apply! LINE 3: Tay, is that a good idea? Coworker of Taylor and Jordan. Not a nice guy. LINE 1: Do my eyes deceive me? Did Little Taylor really make it out to socialize? LINE 2: This is a momentous occasion. I'm getting a round of shots. LINE 3: Aww no shots for Little Taylor?